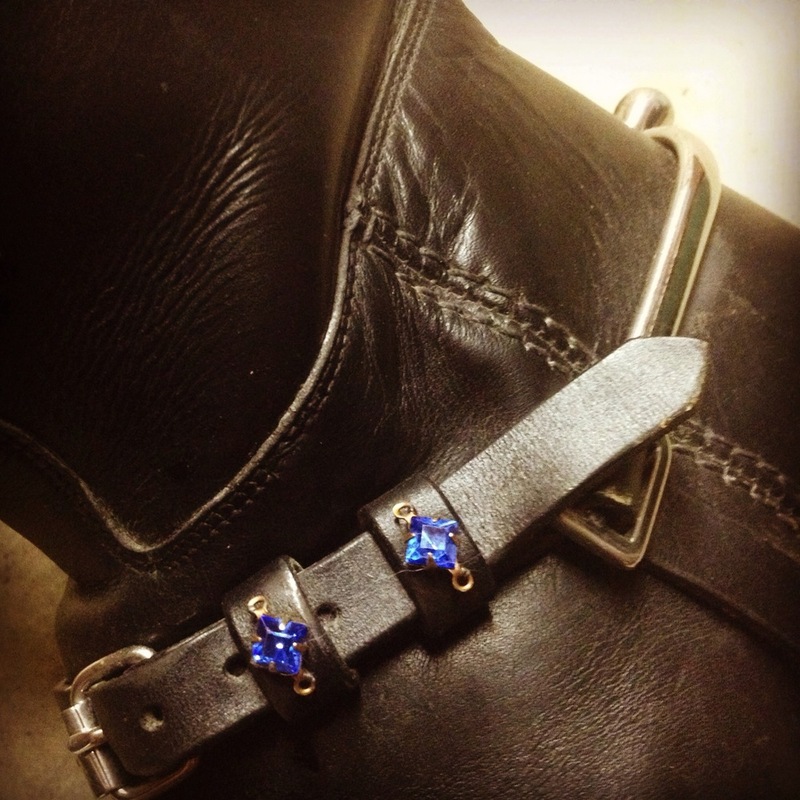 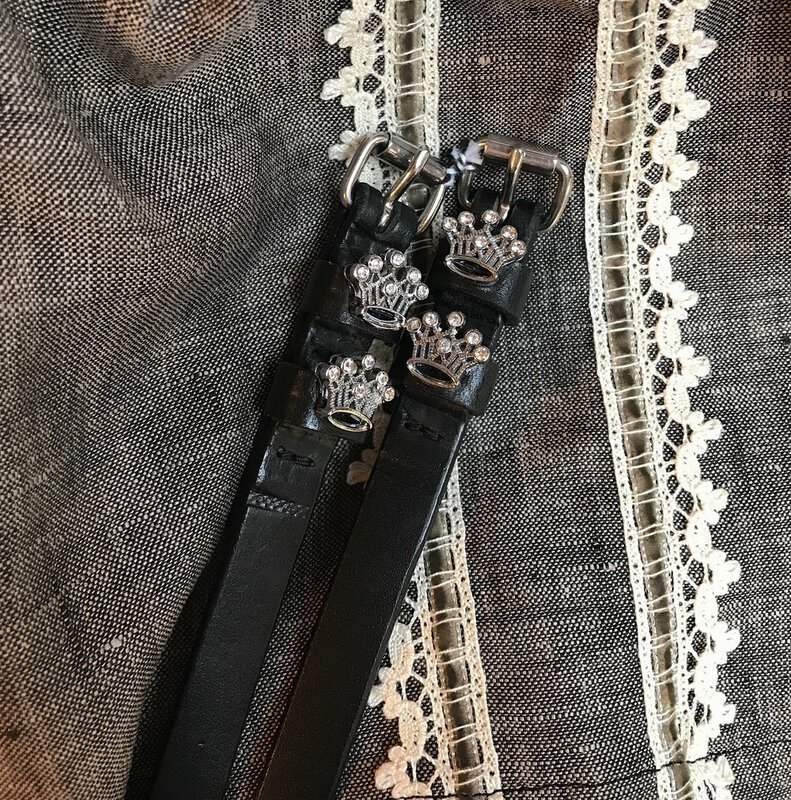 Our lovely spur straps with just a touch of sparkle...$50. 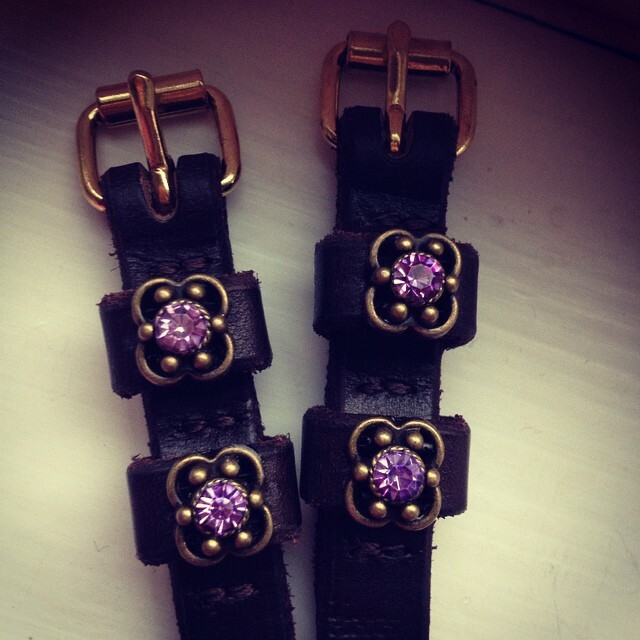 We offer black, havanna brown, chestnut, and london tan leather options. 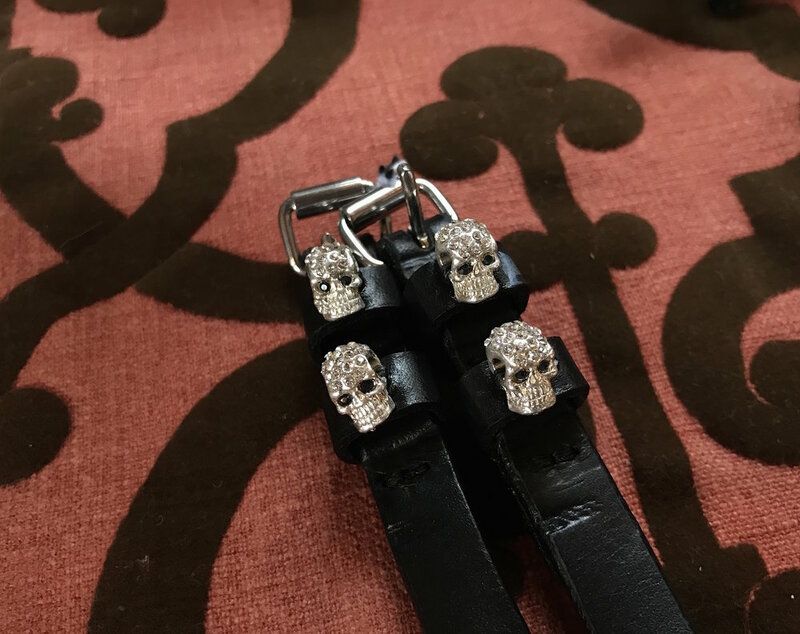 We apologize, but we are no longer taking custom orders on spur straps.